Over the last few weeks, I’ve been gradually increasing the supported devices for TRAQS.me. As of today, I’ve successfully integrated FitBit, Withings, GPS data (GPX files), MyZeo, and now Garmin Heartrate monitors (TCX files). Devices like FitBit make syncing and importing data relatively fast. As soon as the device syncs with the ANT-based station, data is uploaded to the FitBit site and this can be easily extracted. 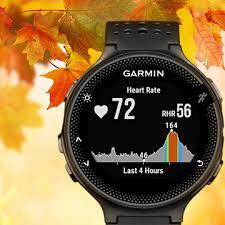 However, for Garmin devices like the FR60 heart-rate monitor, extracting data from the Garmin Training Center product is a manual process. You have to manually launch the app, go to Export, and save your data as a .TCX file. “This software provides Linux users with the ability to communicate with the Garmin Forerunner 305 via the USB interface. While this is the only Garmin unit that I own, I did implement all of the documented Garmin protocols as of Rev C (May 19, 2006) over the USB physical link. This means that if you have a Garmin with a USB connection to a PC, you ought to be able to use this software to communicate with it. 1) If you don’t already have an account, signup for Dropbox and install clients on your computer running Garmin Training Center, and where you ultimately want to send your .tcx files. 3) Go to your destination server where Dropbox is installed and presto, you have all of your workout/activity/heartrate data available in .TCX format!